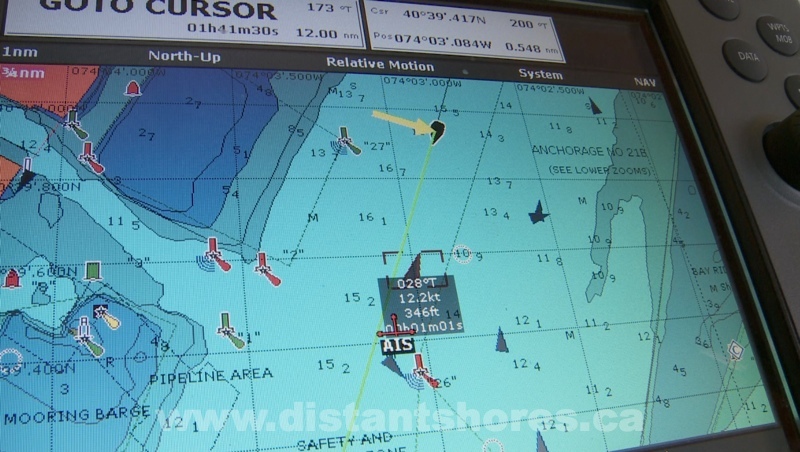 Are you planning a trip south on your boat? If you live on the Great Lakes then the Erie Canal is a fun quick trip across New York State to New York City and the route south to warm places! We have done the Erie Canal 5 times now and still love the trip! It's September and we are in foul weather gear some days. The Erie Canal has a branch canal from Oswego New York. This is how we enter the system - at Oswego New York on Lake Ontario. We plan about a week to get to the Hudson and NYC. 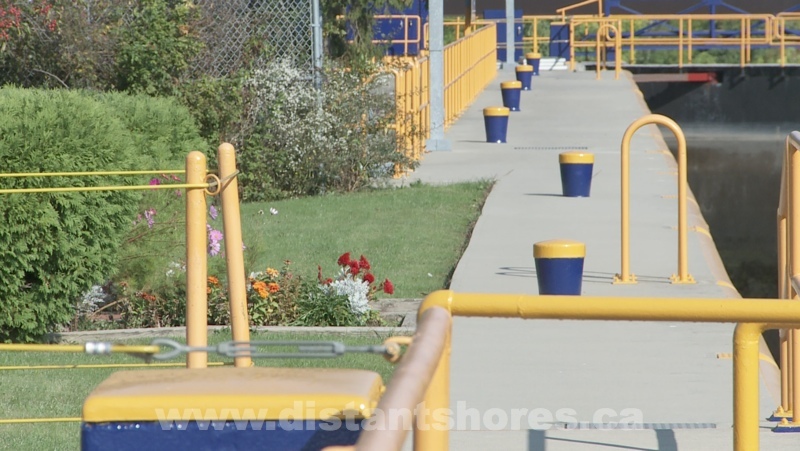 Sailboats can carry the mast on deck as we do, or have it trucked ahead to meet you! 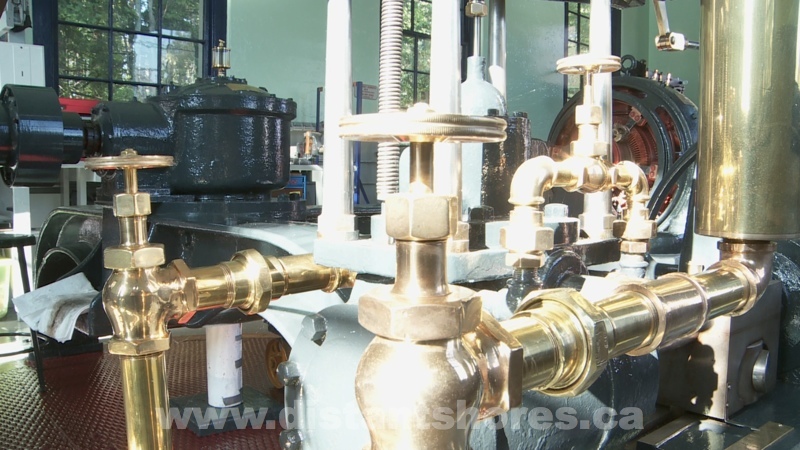 There are lots of nice tie-ups along the system and included in the reasonable fees. The lock-keepers were all great! Most would also offer recommendations of things to see and do in the surrounding area as well. The system is very nicely maintained! Fall is quite pleasant on the canal. Check out this free episode of Distant Shores on the Bahamas. Its a free bonus when you join our email list. 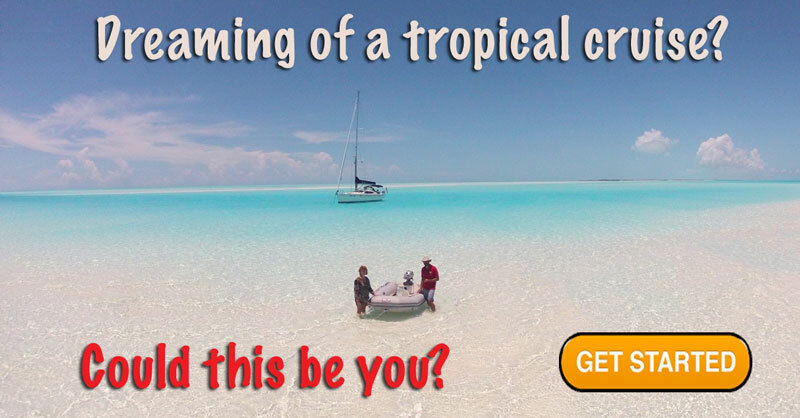 Click below to join and "get started" with your tropical planning as you check the gorgeous Exuma Islands of the Bahamas. The Crazy Clam?? Its fun travelling small-town America. This is an official workboat for the system. 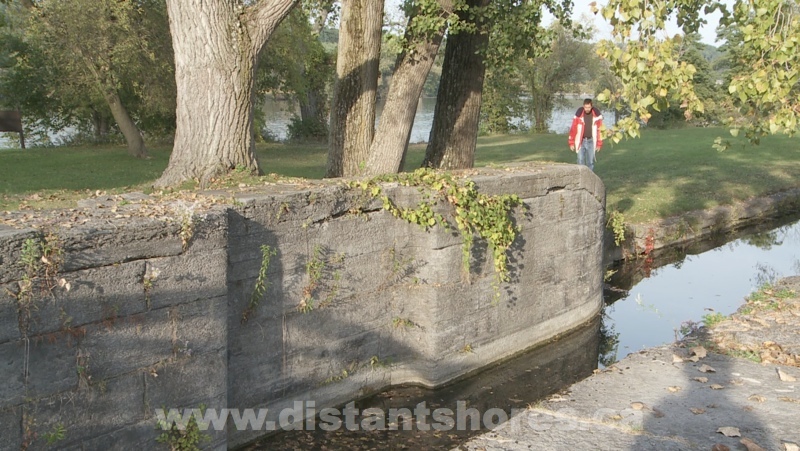 Most of the "updated" Erie Canal was built in the early 1900s and is lovingly maintained. 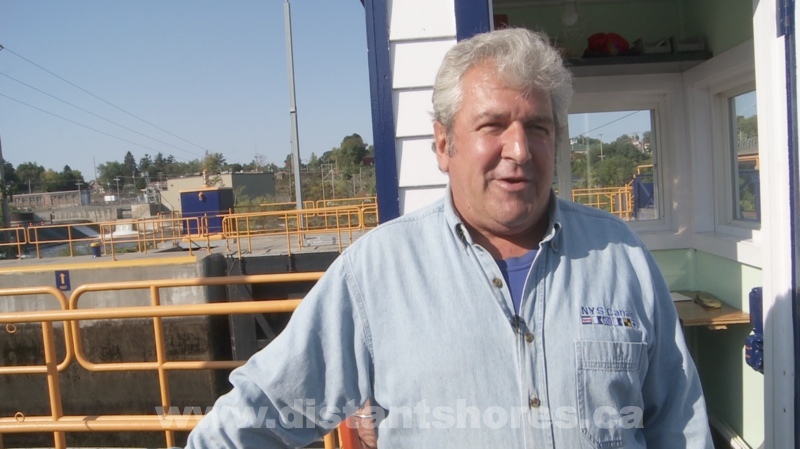 Lock-keepers are a great source of info on the system! 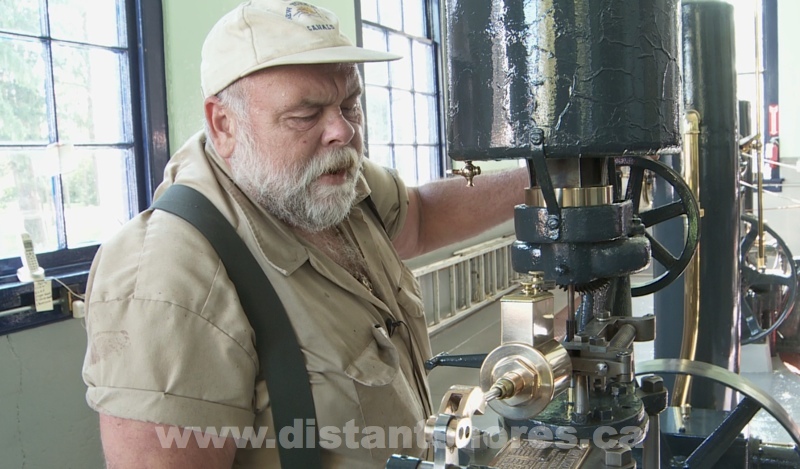 Mechanism for the lock operation in pristine condition! Its like travelling in a museum! We get to film a demonstration for the show. This specially designed canal cruiser boat can navigate the Erie system with just inches to spare. The original Erie Canal was built in the early 1800's. 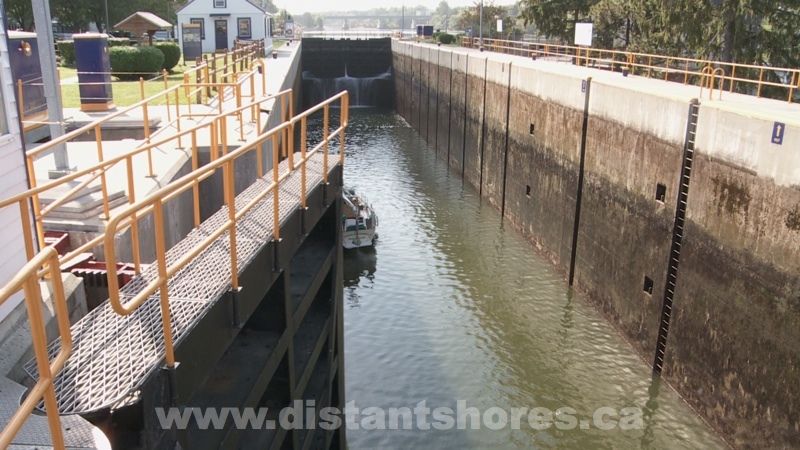 Here is one of these old smaller locks. Out into the Hudson River. 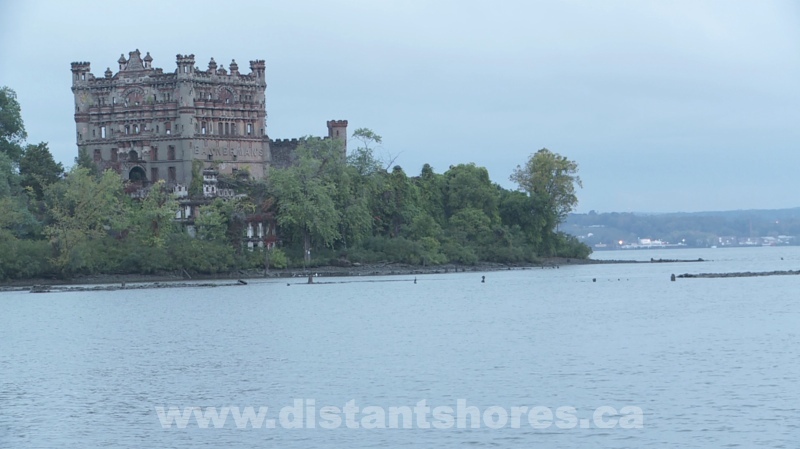 This is one of our favourite anchorages at Bannerman's Island. Its a whimsical castle built by an arms dealer?? 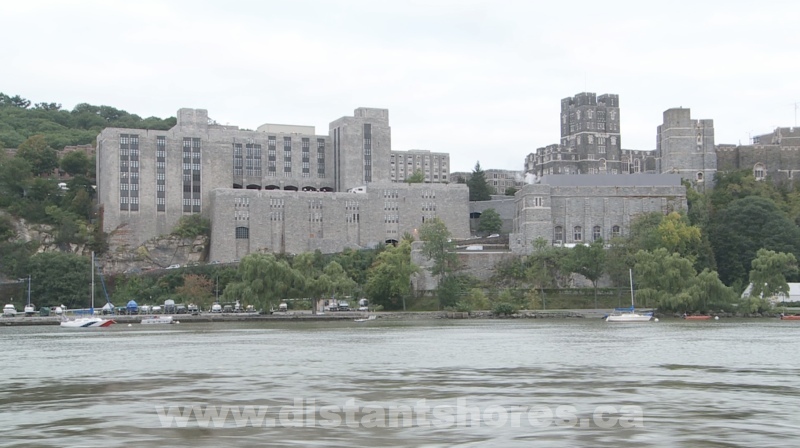 Passing West Point Military Academy. 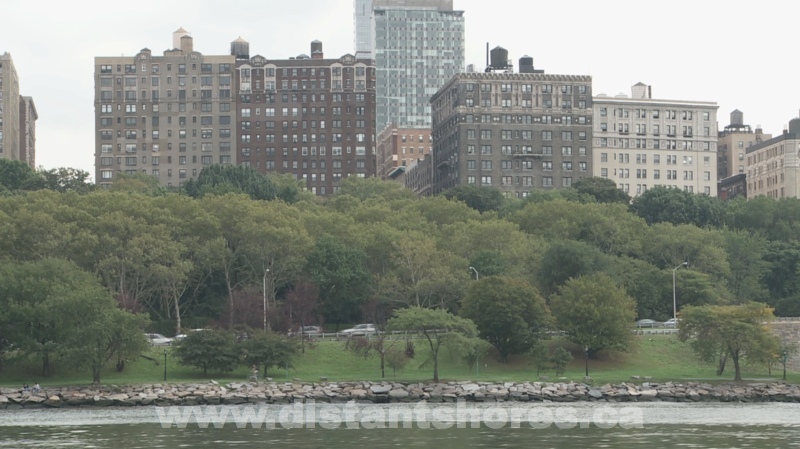 The Hudson River passing near 79th Street Boat Basin where we have stayed on a mooring bouy. 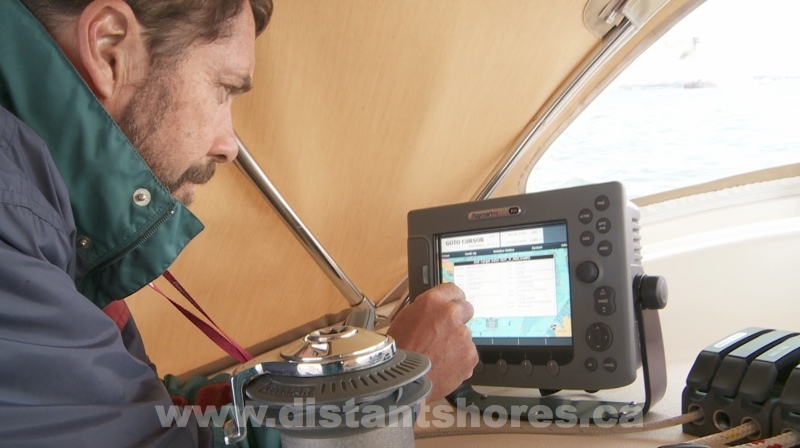 Checking the AIS for shipping New York Harbour. 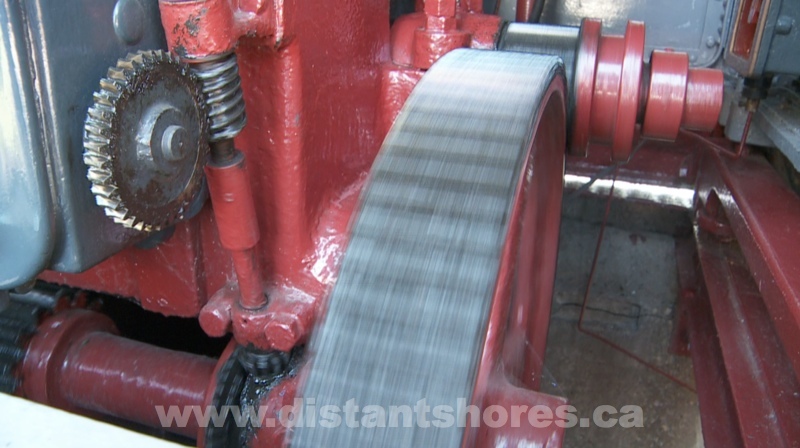 Its a good tool to have with lots of traffic and the ferries zooming around. Sheryl is excited to share the frame with the Statue of Liberty! If you are planning a trip down the Erie Canal we have also recorded an alternate audio commentary track on the DVD. It will help you with your own journey! 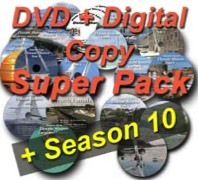 Now Includes Season 10 Downloadable!